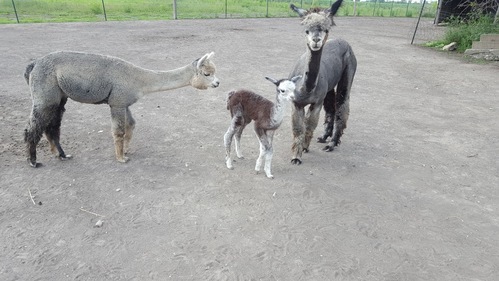 A new little grey cria! It is always exciting when a new baby alpaca is born. I walked out this morn, looked in the pasture, and took a double take, when I noticed this little one. It is very healthy and a pretty fair size. It is nursing well and will be a very fine alpaca!